Video: Jarren Benton - "Cadillacs & Chevys"
As the newest member of independent powerhouse hip-hop label Funk Volume, Jarren Benton has been busy proving his rightful place amongst one of the most lyrically talented rosters in all of hip-hop. First came "Razor Blades And Steak Knives," the lead single from his Funk Volume debut, My Grandmas Basement, which will be released on June 11th. The video was a perfect introductory piece to the unabashed Georgia native, a frenetic, provocative clip. 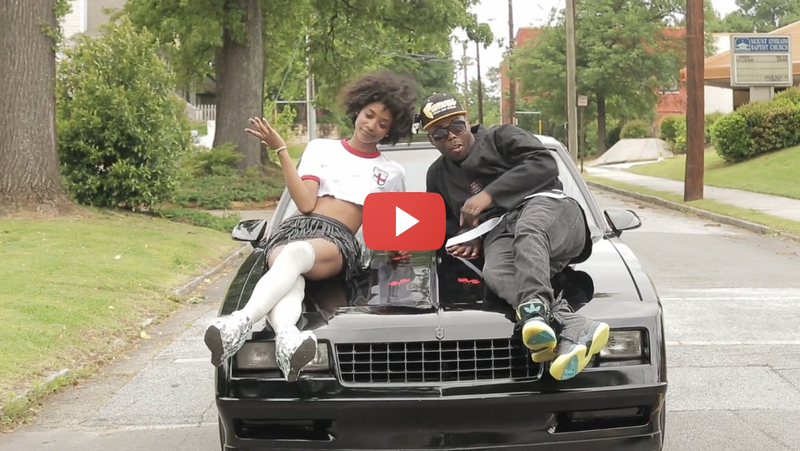 Today, Jarren is releasing the video for follow-up single "Cadillacs & Chevys" directed by Atlanta staple Artemus Jenkins. To accompany the video, Jarren Benton is also unveiling the track list for My Grandmas Basement. With "Cadillacs & Chevys," Benton continues to develop a distinct visual vocabulary, as the video opens with the rapper cruising down the street, reclining on the hood of a car, before cutting to clips of Jarren dancing with manic energy, perched on a billboard, and narrowly dodging traffic cones. The video, and song, come to a head with the track's chorus, as Benton parties on a bus while wearing his signature fur tail hat. All this comes together to cement Benton's undeniable uniqueness as a rapper who is willing to grapple with the absurd without becoming a parody. Benton takes his work incredibly seriously, and his prowess and immense diversity as an artist becomes ever more clear with each new single from My Grandmas Basement. For an artist with serious mainstream aspirations, Decatur, Georgia's Jarren Benton has spent his career going against the grain. One of Funk Volume's premiere acts, Jarren admits, "I love the music I do now. I do it in the safe-mode." That's rather shocking for an artist whose last album, Freebasing With Kevin Bacon lived up to its name, at least in attitude and style, evident on the single "Skitzo." After two successful digital releases and a video with over one million YouTube plays, Jarren is prepping the June 11th release of his Funk Volume debut, My Grandmas Basement. Funk Volume is a record label, marketing and production company founded to give hip hop artists a home to freely express themselves without feeling controlled or pressured by any other outside forces. The label's roster includes Hopsin, SwizZz, Dizzy Wright, Jarren Benton and DJ Hoppa.